She stands 72 meters tall and dominates the landscape for up to 35 kilometers. She can be seen everywhere in Da Nang and surrounding areas, including out to see. She is thought, by the locals, to be the protector of sailors. This statue is one gigantic piece of white marble. And everybody knows…..size counts. The Lady Buddha is immense. She is 72 meters tall and 17 meters in diameter. 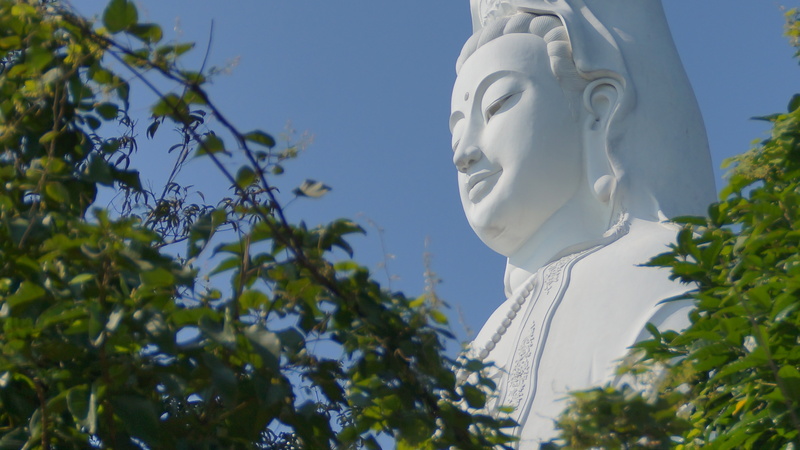 Although the statue was not open when I visited, you can enter the statue and climb up 17 floors, each one celebrating a different Buddha, until you reach her head. 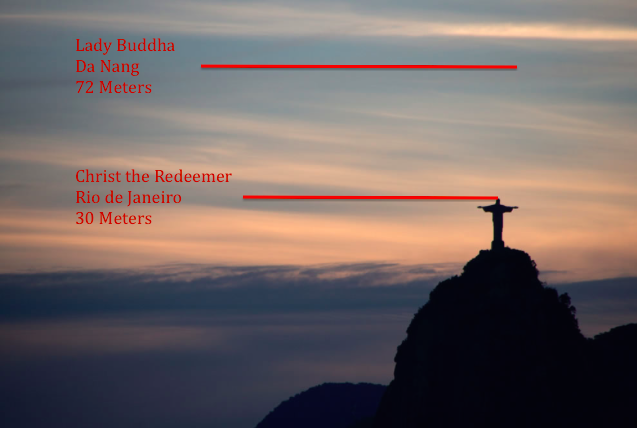 Seriously, if the Vietnamese don’t have a unique identifier for their landmarks, they make them up. 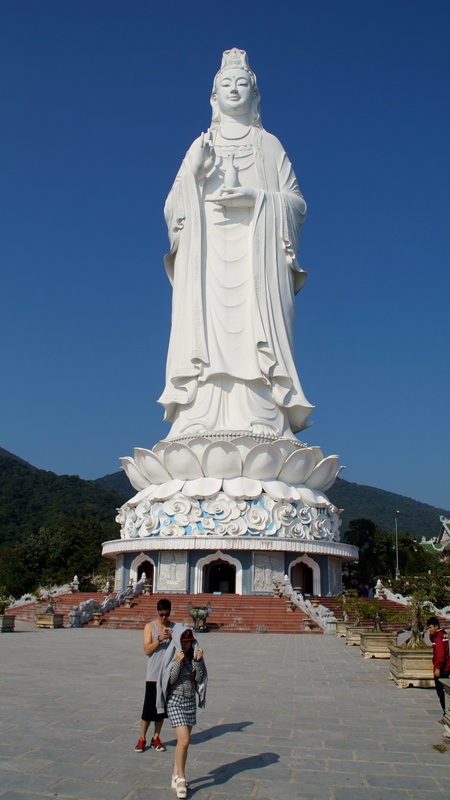 This one is the tallest Buddha Statue in Vietnam. And it probably is….it’s huge. 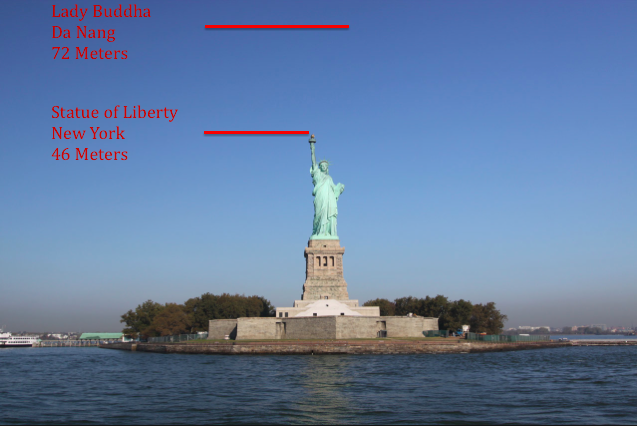 Pictures of people standing in front of her give some perspective, but I thought I would offer some other comparatives. Completed in 2010 after six years of construction and carving, she can be seen as far away as Hoi An on a clear day. Also on the grounds is the beautiful Linh Ung Pagoda. 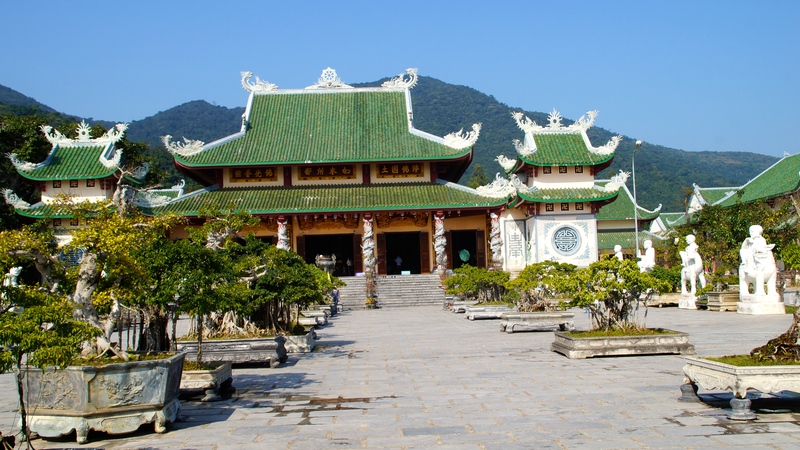 This large and growing complex houses many wonderful temples, statues, and serene gardens. 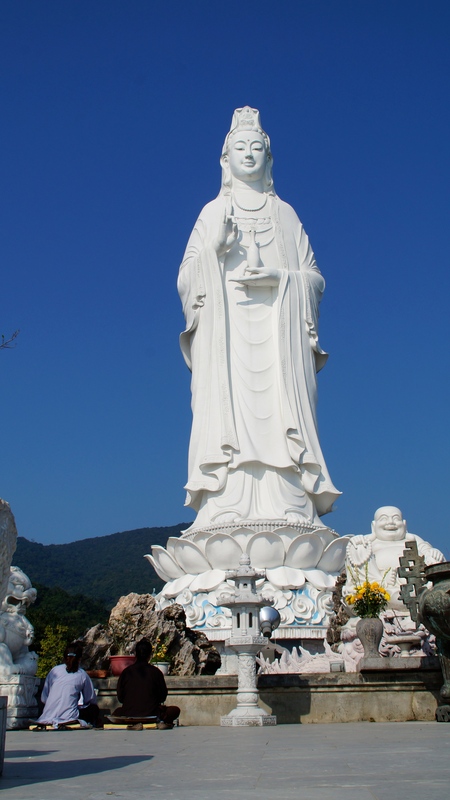 This entry was posted in Architecture, backpack, Motorbike, Travel, Vietnam and tagged Da Nang, Lady Buddha, Statue, Vietnam. Bookmark the permalink.